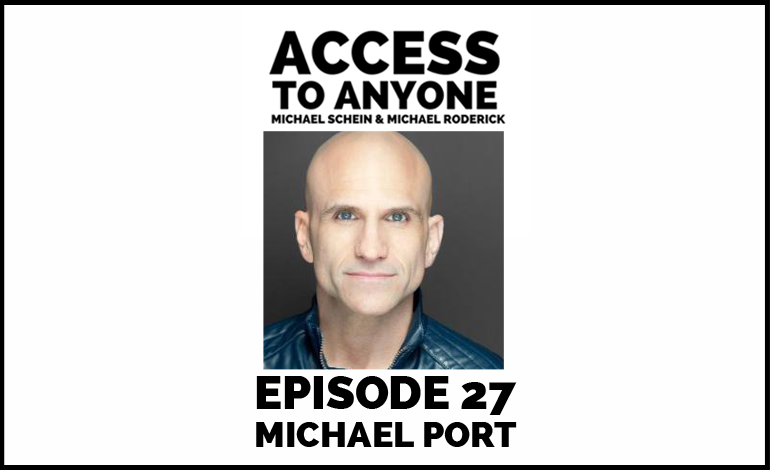 Today Book Yourself Solid author Michael Port is one of the most sought after public speaking coaches in the world, but it wasn’t always that way, For many years he was a working actor and voiceover artist who had no intention of ever going into business. In fact, it was only when he shifted his orientation and figured out how to step into the spotlight by helping others get to the top that he found his true calling. We explore this and much more. Why everyone is a creative artist. How to embrace directness without conflict. Why solid relationship building is all about fulfilling commitments. Why being a high school party promoter is better than grad school. Called “an uncommonly honest author” by the Boston Globe and a “marketing guru” by The Wall Street Journal, Michael Port is the New York Times bestselling author of four books including Book Yourself Solid, Beyond Booked Solid, The Contrarian Effect and The Think Big Manifesto. Michael can also be seen on MSNBC, CNBC, and PBS as an on air expert in communication and business development, and as the host of the most popular podcast on public speaking and performance, Steal the Show with Michael Port.